Dual diagnosis rehab programs in Florida treat substance abuse as well as any co-existing mental health disorder a client may have. Substance abuse can include drug abuse, drug addiction, alcohol abuse and alcoholism. Mental health disorders are psychological disorders or psychiatric diseases. Individuals who are struggling with substance abuse as well as a mental health disorder are given a dual diagnosis. Dual diagnosis rehab programs in Florida work to identify any co-existing mental health disorder clients may have in order to provide comprehensive addiction treatment. For many clients, dual diagnosis rehab programs in Florida have been the turning point in their recovery. Mental health disorders that are often seen in dual diagnosis rehab programs in Florida include anxiety, depression, eating disorders, bipolar disorder, other personality disorders and more. Often times, individuals who are struggling with these disorders use drugs or alcohol to self-medicate, linking the two issues. For this reason, leaving co-existing mental health disorders untreated greatly increases the chance for relapse after treatment. Dual diagnosis rehab programs in Florida deal with both, providing more thorough drug addiction treatment and increasing their clients’ chance for success in recovery. Dual diagnosis rehab programs in Florida are extremely important and have helped thousands of individuals who may have not had the same success in other programs. Dual diagnosis rehab programs in Florida recognize and deal with these issues head on. Oftentimes, diagnosing a client with a co-existing mental health disorder can be difficult. Symptoms of a co-existing mental health disorder can include things like aggression, anger, isolation, lying, stealing, mood swings, poor hygiene and more. These symptoms are similar to symptoms seen in drug addiction alone, making diagnosis and treatment more complicated. Dual diagnosis rehab programs in Florida also see many clients who have different combinations of co-existing disorders, such as abusing more than one substance, further complicating the situation. Dual diagnosis rehab programs in Florida are aimed at identifying the co-existing disorder or disorders and making sure the client gets the treatment they need to be able to succeed in recovery. For many individuals struggling with addiction, dual diagnosis rehab programs in Florida can be the key to their success in recovery. 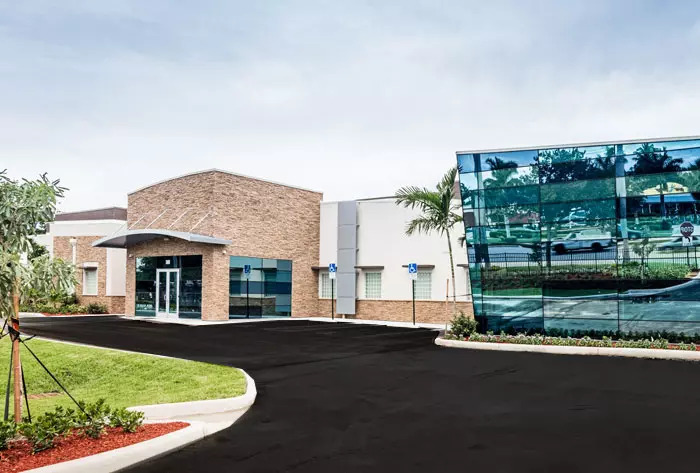 FHE Health dual diagnosis rehab program in Florida is run by licensed clinical and medical professionals who have years of experience providing top-notch addiction treatment. Every client in our dual diagnosis rehab program in Florida receives a treatment plan tailored to his or her individual needs. If you or a loved one is struggling with addiction and would like to know more about dual diagnosis rehab programs in Florida, please call us now at (844) 299-0618 or email us for more information. We are available 24-hours a day to answer any questions or concerns you may have regarding dual diagnosis rehab programs in Florida and how we can help you or your loved one. Please call us now or email us for more information on dual diagnosis rehab programs in Florida.